Central Kalahari Game Reserve or CKGR is a unique Africa safari reserve in Botswana located at the heart of the Kalahari Desert. 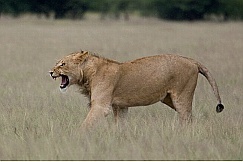 Central Kalahari was founded in 1961 and is the second largest game reserve in the world competing with the largest Selous Game Reserve in Tanzania. It has a land area of 52800 square kilometers, and bigger than Switzerland or Denmark. 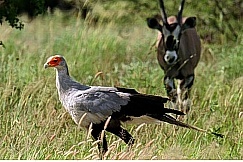 The reserve is bordered by Khutse Game Reserve to the south. This African safari wilderness reserve has a predominantly flat and open grass plains landscape featuring sand dunes, salt pans, and fossil riverbeds. The reserve has valleys, among them is the famed Deception Valley which was formed thousands of years ago, and got the world’s attention from researchers Mark and Delia Owens who wrote the bestselling Cry of the Kalahari. As the name connotes, it tricks people into believing that the valley river is full which is not due to an optical illusion. 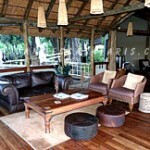 This largest game reserve in Botswana has main three entry points, the Matswere gate in the north through the town of Rakops. On the west is the Xade gate through the Ghanzi-Kang road and Khutse Gate on the south. 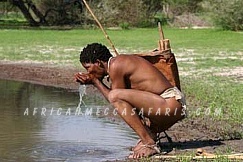 The British Protectorate taking cognizance of the survival of the San declared the Central Kalahari Game Reserve as home for 5,000 Basarwa or San people or Bushmen, who are nomadic hunters and gatherers. 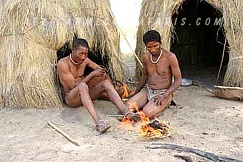 The game reserve had been home for the Bushmen for centuries even before it was officially designated as their home in 1961. 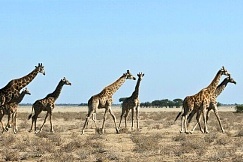 The Central Kalahari Game Reserve boasts of some of the unique wildlife-rich safaris in Africa. 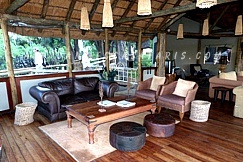 Situated at the center of the Kalahari Desert, the Central Kalahari Game Reserve does not look like a desert at all. It prides itself of green vegetation like bushes and verdant trees. The Kalahari Game Reserve flora are conquered with common shrub and trees of silver Terminalia sandveldt, Kalahari sand acacias and Kalahari appleleaf seen also in Khwai region of the Okavango Delta. Also around it are other bushes and shrubs covering the grounds such as Burkea africana, bush willows, silky grass and Combretum collinum. The reserve also has purple pod terminalia and Balsam pears with fruits of stunning color that catches anyone’s eyes almost immediately. After the rains in the summer, the African safari in Central Kalahari is a picturesque renewal display of life and dynamism with its luscious, green vegetation and floral color exhibition combined with the water-full pans around the reserve. The reserve becomes alive with the diverse wildlife coupled with an outburst of greenery making it a vigorous ecosystem. 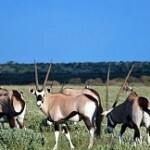 The CKGR is populated with a large number of gemsbok, springbok and wildebeest. 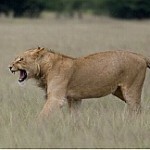 There are also predators such as lions, cheetahs, jackals, leopard, hyenas, wild dog and many others. Plains game such as eland, duiker, kudu, giraffe, warthog, red hartebeest are also inhabitants of the place from December to April when the animals converge on the water source. The reserve with its over 220 species of birds include kori bustard, vultures, burchell’s sandgrouse, sparrows, robins, wren-warbler and many more thriving with the flare-up of colors emanating from the myriad of hues from the avi-life. 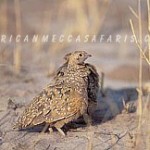 There are also the goshawk and korhaan that roam the area. 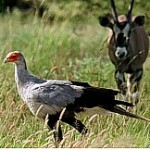 The reserve is known to offer a striking and contrasting ornithological safari in Botswana encompassed by its natural beauty. The Central Kalahari Game Reserve offers the outmost and eminent wildlife viewing experience for an Africa safari in Botswana. 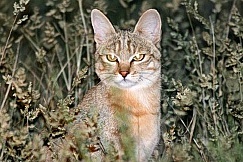 The rains create a dynamic sanctuary for wildlife with grasses and shrubs profusely growing all over the plains providing an ideal habitat for thousands of plains game. 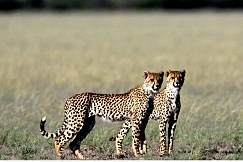 The ideal time to visit the Central Kalahari Game Reserve for a Botswana safari is during the wet summer season or just after the rains have begun when the flat plains bursts with greening of grasses and shrubs displaying the natural scenery that evokes love for nature in people. The wet summer season is from November to April. This is the time when foraging is most superb. The resident bird species are a spectacular sight and made more tremendous as the migratory birds joins the residents creating an innumerable of colors and life that make the Kalahari blooming. Rainfall in this area though is not certain to come, and when it does, the roads are slippery and muddy to traverse. This situation is challenging yet enjoyable as this is what nature is all about. To maximize your African safari, you have an experienced guide and a 4x4 vehicle to the interiors of the reserve for your game viewing safari in Central Kalahari. 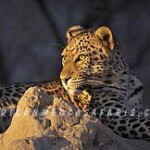 The Central Kalahari Reserve is a majestic Botswana safari destination without the masses of visitors. The lush, open and green plains combined with the incredible clear, blue sky transforms the area into a scenic view with wildlife in their natural habitat. 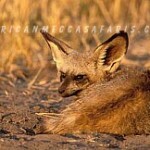 The ecosystem during the wet summer is teeming with wildlife over the flat plains of the reserve. 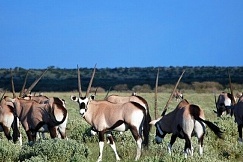 The convergence of gemsbok, springbok and blue wildebeest attracts predators to the area such as lions, jackals, cheetahs etc. 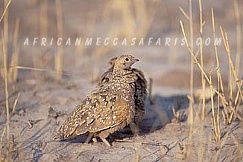 During the dry winter season, that is May to October game migrate out of the Central Kalahari to other sources of water leaving only few of the resident game. 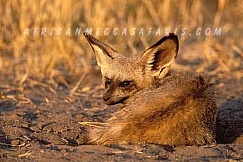 A Central Kalahari safari at this time would be restrained. However, there are still attractions you can enjoy such as complete isolation and freedom of the area, cultural walks with the bushman and resident game from meerkats to brown hyenas. 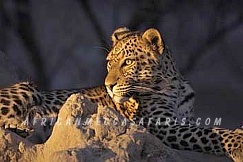 The primary activities within Central Kalahari are 4x4 game drives and cultural walks with the San people around the perimeters of the reserve. This Botswana safari in Central Kalahari is directed to the wildlife concentrations at the northern half of the reserve where you can witness the diverse presence of animals and abundance of flora ranging speckled across the desert combined with the majestic clear blue skies.